Considering getting your dog from a breeder? That's great... as long as it isn't a puppy mill. There's a difference between the two, except for the fact that puppy mills only consider quantity over quality and profit over product. I recall reading about an article of Oprah exposing puppy mills. Cesar Millan is also against people who do this for a living. Back to our topic, what's so great about getting your doggy from a breeder? 1. You can most likely meet the mother and -if lucky enough- the father. Routine health checks are done to them to ensure happy healthy puppies. 2. A reputable breeder can give you a history of the mother's health, as well as some general information on the breed's temperament. 3. A reputable breeder will most likely give you a questionnaire or ask you a series of questions to screen your preparedness in taking care of the puppy. 4. Doggy social skills wouldn't be that big of an issue because initial training will come from the puppy's mommy and his littermates. 5. Most reputable breeders educate their buyers regarding diet, vaccinations, health and other issues the breed may encounter. 6. Reputable breeders keep their dog dens clean and safe. Want to know more about puppy mills? Here's a Nat Geo clip about them. i've always pretty much known if you buy your dog from a business that sells them, the ones that are selling them in the windows,they are puppy mill dogs. i just didn't know how bad puppy mills really were until i watched that one oprah episode. we've always gotten our dogs from breeders. what i like is that you are able to see the living environment and the parents. i was only able to see yuki's mother, since the male did not belong to the breeder. but i saw both of rocket's parents and i knew he would be a big boy after looking at how big his father is. Sorry I'm a little late on the reply. I was pretty busy this week. We had are bathroom tiled- which is quite a big deal because of its cost. I doubt we have puppy mills here in our country. Most of the purebred pups here come from breeders and they're seriously expensive. A pug can normally cost $400, I'm not sure if those have papers. A welsh corgi can cost $1000 or more even. The cheapest purebreds here are mini-pinschers and japanese spitz which can start at $100. Although I'm not a sucker for papers, if breeders want to make extra on their pups, they have to have papers for it. It's good to see you showing the difference between a good breeder and a puppy mill! I came from a wonderful breeder and my family are now great friends with my breeder and I see some of my siblings and my Mum often, I also get to hang with my Dad sometimes which is cool - my breeder taught my family how to care for me as it's not easy to groom me and she's always there for any questions. Thanks for joining the Monday Mishief Bloghop! I met a doggie in the park the other day who'd been rescued from a doggie mill. He was such a friendly little guy and seemed grateful to have been given a second chance. You know the stores over here that get their puppies from puppy mills actually cost more, by a lot. They usually are from $800-$3,000 us dollars. It's actually less expensive to buy from a breeder. I usually see most breeds from $100-$600 us dollars, $600 ones are usually yorkies. At least thats the going rates for the pups in my area. The average for schnauzers is around $200...even though city law says you can't sell them for more than $150, most people wont listen. @Snoopy: Hey Snoops. Yes, you're such a cute baby that I'm sure owners who take care of your breed can understand the heartbreak they will be feeling if they let go of breeds like yours. To tell you frankly, I've only seen one of your kind in my country (although this doesn't necessarily mean there aren't others out there). I am glad you're still able to see your siblings and parents. It's a wonderful thing that your parents and breeder are friends. 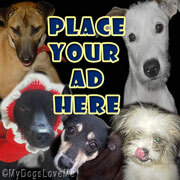 @Alfie: Some dogs are lucky to be rescued from evil puppy mills. I just wish that pet stores understand what these dogs go through before considering buying from them. I'm sure the doggy in the park is very grateful to have found a human for himself. @Yuki: Wow, pet stores sell it too expensively. Yorkies are also expensive here where I live. But nothing gets more expensive than Corgis. They're a rare breed like Snoopy there in the Philippines. I just checked how much Schnauzers cost here. They range from $250-350 with papers- a little less than Poms that range from $300-400. When they're from a champ line, it even makes them more expensive.